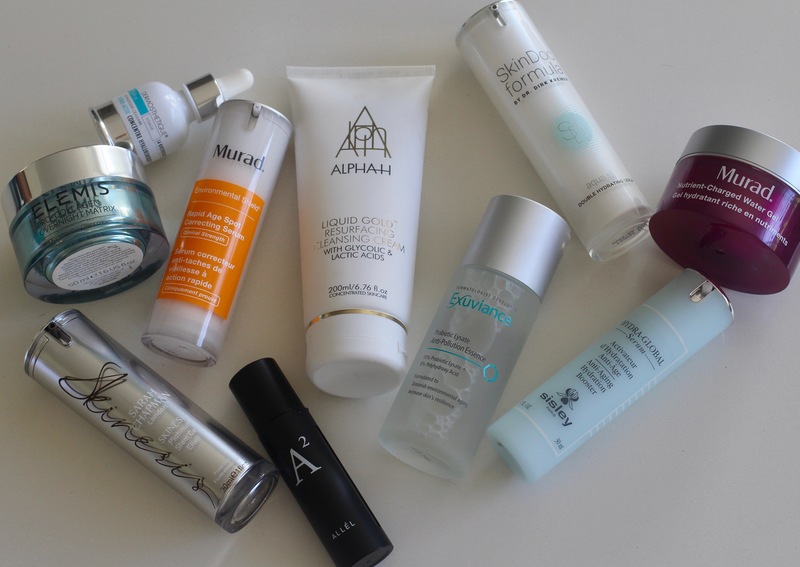 While I am still devoted to the skincare routine set for me by Pam Marshall of Mortar & Milk and have therefore primarily been using the Exuviance products that have worked magic on my skin, I haven’t failed to notice that there are some really impressive new launches by some very reliable brands landing on my desk. Here are the best ones based on brand, ingredients, texture and, where appropriate, a family/friend having tried and raved about them to me. I feel this approach might be very useful for you if you have a different skin type to me as many of them wouldn’t work on mine or fit in with my routine, but may well be perfect for you. Murad Nutrient-Charged Water Gel, £50 / Gel products are having a huge moment and for good reason – they’re packed with skin goodness but aren’t heavy or greasy. This oil-free formula is packed with peptides, vitamins and minerals to lock hydration into skin in a kind of mesh of nutrients, but it is happily speedily absorbed, making it perfect for summer under an SPF. SkinDoc Formula by Dirk Kremer Double Hydrating Serum, £120 / Multiple weights of hyaluronic acid (HA) in this lightweight serum make it another good option for skin that’s a bit dehydrated as HA is a dab hand at drawing in water and hanging onto it – though be warned that if you’re using a fair bit of HA, you should put more effort into staying hydrated as it takes water both from the atmosphere and from your body. Alpha H Liquid Gold Resurfacing Cleansing Cream, £32.50 / Alpha H has a cult following for its glycolic acid-based products. 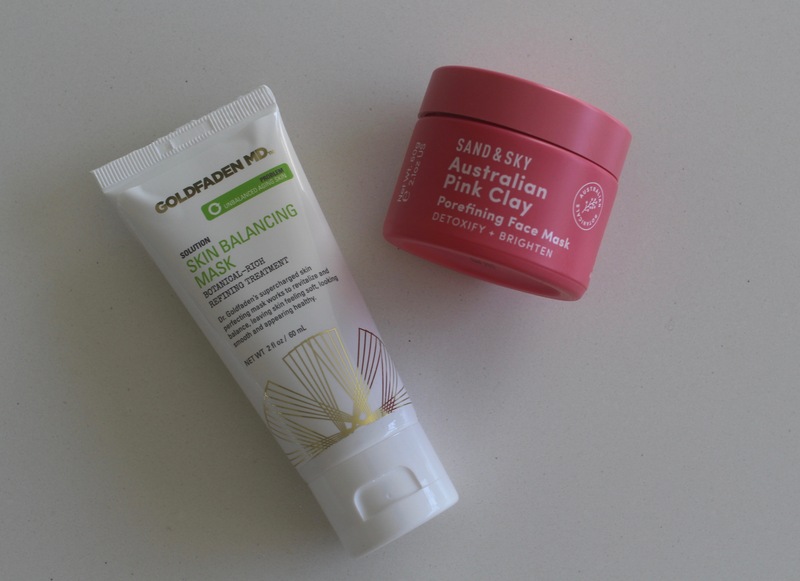 This cleansing cream can be used to clean skin (I would remove make-up first with something less active then go in with this so as not to waste it on removing SPF or foundation), or as a mask if left on for longer. This one also contains lactic acid, but even with two sorts in the mix, it’s not as intense as the original Alpha H Liquid Gold. Use twice weekly, at night, and build to what your skin can tolerate without getting and staying red. As with all acid-containing products, be religious about using sunscreen. Trilogy Rosehip Transformation Cleansing Oil / Trilogy are a well-loved organic brand hailing from New Zealand, and their bestselling product is the rosehip oil, which devotees adore for its scar-reducing, skin-cosseting abilities. This cleansing oil similarly respects skin, leaving the barrier unruffled and the skin make-up free. I’d personally use this to rid skin of make-up then chase with a different cleanser to treat skin. Omorovicza Cashmere Cleanser, £47 / Containing shea butter and Omorovicza’s famous thermal waters drawn from Hungarian springs, this is a good option if you suffer from dry skin and find cleansing leaves your skin feeling a little tight. Exuviance Probiotic Lysate Anti-Pollution Essence / Exuviance makes up about 70% of my skincare regime for their efficacious, BS-free approach to products. This probiotic essence does what it says on the tin – bolsters the skin’s all-important barrier. I use it whenever I’m in London, patting the fluid on directly after cleansing and then following with serum. Murad Rapid Age Spot Correcting Serum, £70 / This serum is geared at patches of pigmentation and hyper pigmentation, with Murad citing clinicals as proving a reduction in their appearance after a week, which is unsurprising given that the ingredients list reads like a hit list of pigmentation-busters including Vitamin C and niacinamide – but, as per above, you’ll need to use a sunscreen to stop further damage from occurring. Goldfaden MD Skin Balancing Mask, £68 / This mask goes to work on skin that’s both ageing and prone to inflammation in the form of acne or redness and works especially well on the former, treating it with a blend of vitamin E, honey, jojoba oil, and malic acid. Again, use weekly and see what your skin can tolerate – some can go to twice weekly – and then make sure you use an SPF the following morning. Sand & Sky Australian Pink Clay Porerefining Face Mask ,£39.90 / Pink clay sourced from Australia along with Vitamin A and liquorice makes this a great mask for drawing out impurities and reducing patches of pigmentation. Great for acne-sufferers – and the pot is perfect fodder for Instagram if you’re that way inclined. Elemis Pro-Collagen Overnight Matrix, £145 / According to research by Elemis, stress homes in on some areas of skin, causing damage and compromising the skin’s barrier function. This overnight cream cleverly targets those areas, sending hydrating and skin-soothing ingredients to the most affected bits. La Biosthethique Dermosthetique Hydro-Actif Concentre Hyaluronique / V V long name, but I suspect you’ll be seeing a lot more of it when this brand launches into the UK imminently. It contains HA, sure, but it also encourages your body to produce its own. 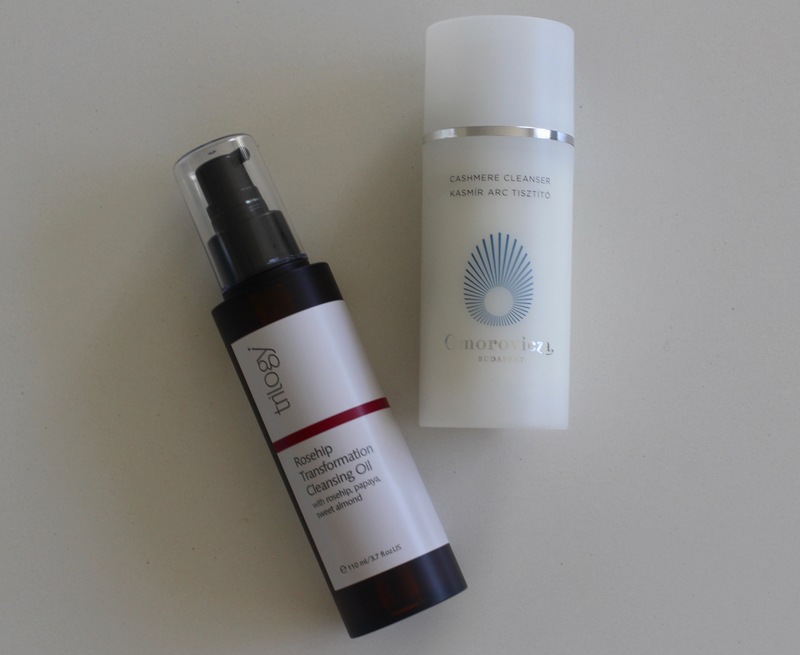 Put it on morning and night on freshly-cleansed skin under whichever other serums/creams you use. Sisley Hydra-Globel Serum Anti-Ageing Hydration Booster, £160 / This one is based on a similar premise of delivering hydration to skin, encouraging skin to hang onto water and encouraging circulation of water so that you end up with glowing, plump skin. Use as per the La Biosthetique number. Allel Face Serum / Here’s a genius idea – Allel do DNA tests to check your genetic markers for skin issues including inflammation and collagen-affecting genes. Once you understand the underlying issues, both internal and external factors can be targeted to improve skin. I’ve had a serum made up for my ‘normal’ skin and it hydrates really nicely. Sarah Chapman Skinesis Platinum Stem Cell Elixir, £136 / The idea of this oily serum is to blast slackening, crepey skin with a blend of vitamin A (aka retinol), stem cells and peptides. Sarah Chapman is hugely reliable in the ageing well field, so if you’re after something for that, get this. 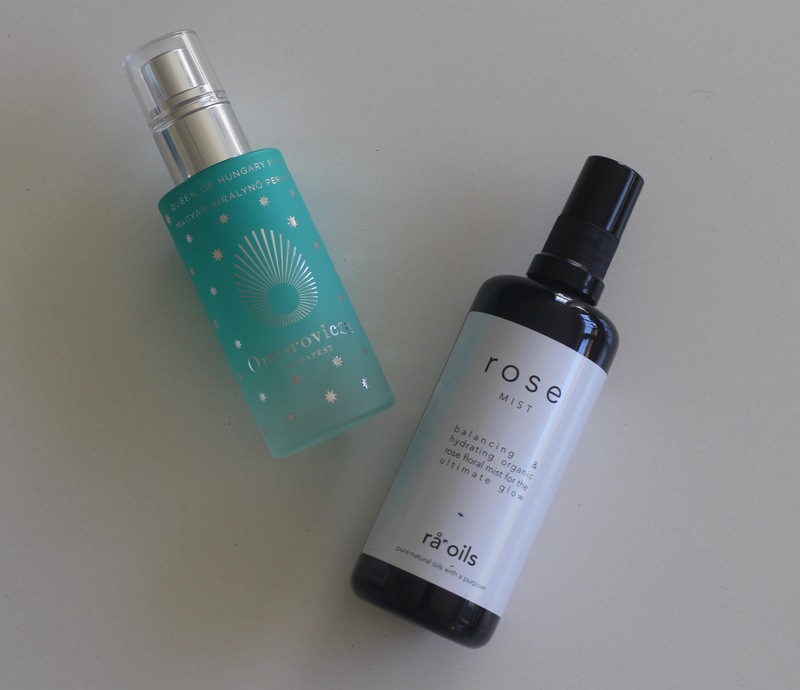 Ra Oil Rose Mist, £35 / This is total decadence – yes, the mist contains oils to hydrate and refresh skin, but there are of course more efficacious places to spend money. If, however, you like beautiful rose concoctions and find them uplifting, you’ll love this vitamin-enriched, alcohol-free mist. Omorovicza Limited Edition Queen of Hungary Mist, £35 / Alright this isn’t technically new but rather a little final bit of news: Omorovicza’s beautiful Queen of Hungary mist now comes in four limited edition jewel-coloured bottles that all look like beautiful jewels. I love your blog! We were recently featured in New Beauty in January and will also be featured this summer. We would love to collaborate with you. Please share details if you are interested.